As parents we are constantly looking for new and creative ways to help our children experience the words of God. 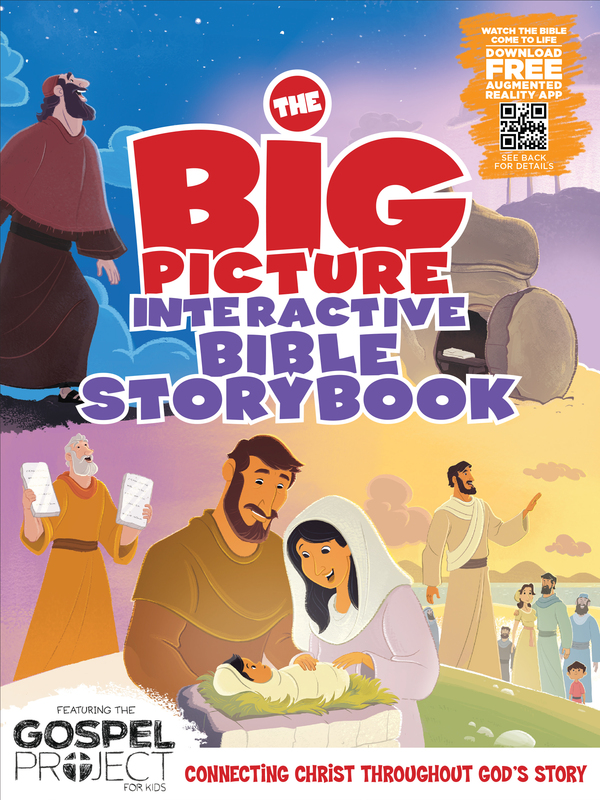 If you are wanting your children to LOVE reading their Bibles then the The Big Picture Interactive Bible is a must. If I could only have one Bible for my boys to read/experience it would be this one for a few reasons. Engaging – The Big Picture Interactive Bible is just that, interactive. All stories are illustrated to grip children’s attention and imagination. There is also a free app that parents can download which allows certain stories to come to life. Finally there are QR codes for certain stories that link the story to videos for your children to watch. Trusted – Parents can be assured that the stores are told in a manner that children can relate with and that stays true to the biblical authors intent. I often catch myself disagreeing with how other children’s Bibles communicate the biblical stories. They often seem to miss the point of the biblical authors. Jesus is the focus – From beginning to end, all stories correctly point children to Jesus. My oldest son just turned four and he loves this Bible. It is not uncommon to find him at the kitchen table with his Bible open and moms phone playing the story that he just looked at. Although he is not able to read yet, he can still experience the message of God with The Big Picture Interactive Bible. Go check it out and let me know what you think!